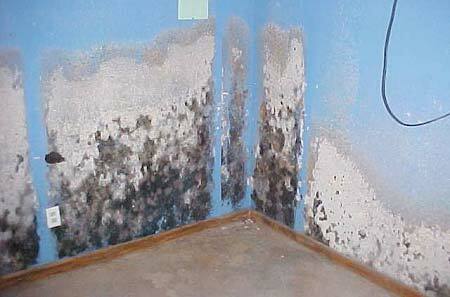 Mold, sometimes referred to as mildew, is microscopic fungi. Mold is found year round, outdoors and indoors. 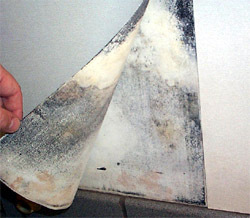 Mold can be seen in a variety of colors from white to orange to green, brown and black. Mold can appear fuzzy or slimy. Mold is naturally occurring and an important part of our environment. Its purpose is to decompose or break down dead organic material, such as, food, plants, leaves and wood. Mold produces microscopic seeds called spores to reproduce. 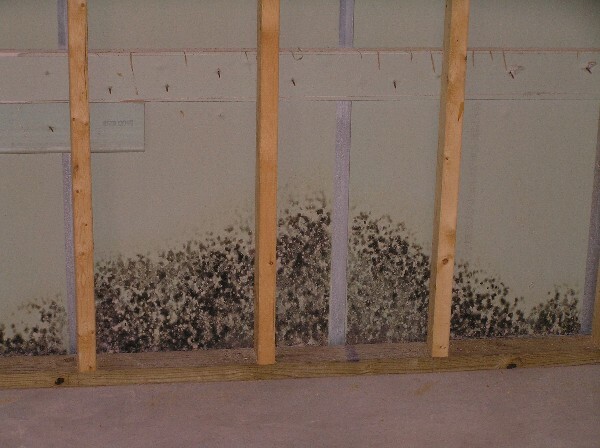 Mold spores are spread easily through the air and act like seeds to form new mold colonies under the right conditions. Mold needs three things to grow. A moisture source – some common moisture sources include roof leaks, plumbing leaks, wet basements, improperly vented clothes dryers and condensation due to excess humidity. All homes have some level of mold inside. The source of most, if not all indoor mold is from outdoors. There is no established safe (or unsafe) level of mold. Generally, mold becomes a problem when it grows indoors. If the level of mold indoors is higher than the level outdoors, there is a high likelihood that mold is growing in the house and needs to be addressed. Most, if not all indoor mold growth is due to a moisture source in the home. As noted above, mold needs three things to grow, food, temperature and moisture. In a typical home, plenty of food sources and moderate temperatures not only exist, they are desirable. Therefore, the only element that we can control (and is desirable to control) in a home is the moisture source. By controlling moisture or humidity levels in a home, we can eliminate or arrest most mold growth in our homes. Molds produce allergens (substances that can cause allergic reactions), irritants, and in some cases, potentially toxic substances (mycotoxins). Inhaling or touching mold or mold spores may cause allergic reactions in sensitive individuals. Allergic reactions to mold are common. They can be immediate or delayed. Molds can also cause asthma attacks in people with asthma who are allergic to mold. Symptoms other than the allergic and irritant types are not commonly reported as a result of inhaling mold. People with immune suppression are more susceptible to mold infections. Hypersensitivity Pneumonitis and other immunological effects have been documented in humans with inhalation exposure to molds and mycotoxins. Research on mold and its health effects is ongoing. Not all potential health effects related to mold are discussed here. For more detailed information, consult with a health professional or your state or local health department. Mold can commonly be detected by sight and smell. 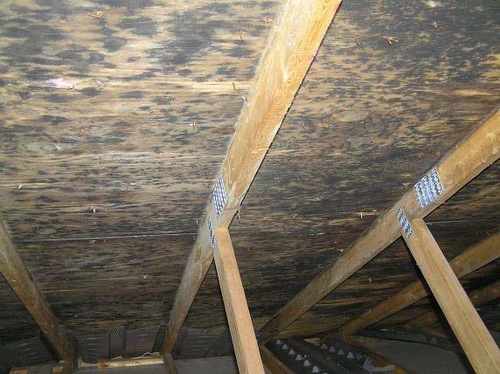 If you see discoloring on your walls, ceiling, floors, roof sheathing in attic, below cabinets, on window frames or in tub or shower enclosures, you may have mold. If you smell a musty or earthy odor, you probably have mold. If you detect mold in your home, you should do two things. 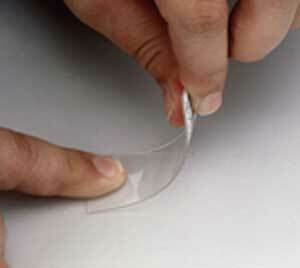 First, find the source of the moisture or excess humidity and correct the problem. Second, clean the mold. If you have a small amount of mold, it is generally considered typical homeowner maintenance. If you have a large amount of mold, you should hire a professional trained in mold remediation to do the clean up. Additional information and sources regarding mold cleanup are listed later in this document. If you do not see or smell mold, generally assessment is not recommended. 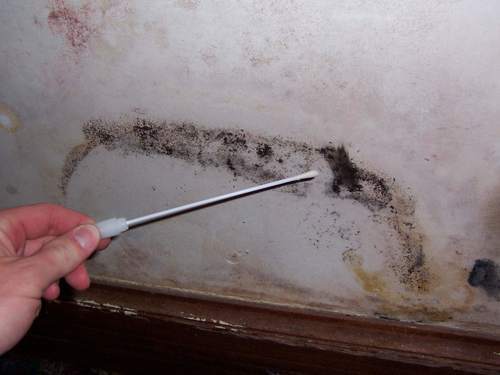 If you detect a small amount of mold in your home, generally assessment may not be needed. Regardless of the type of mold, you should find the source of the moisture causing the mold to grow, correct the moisture problem and clean the mold. in a property during a real estate transaction. Due to limited time and access and the fact that multiple parties have an interest (which is not necessarily mutual), testing is recommended which may not necessarily be needed in other situations. A mold test can verify whether or not a stain, discoloration or bad odor is mold. It can also determine if the mold levels in the home are elevated (compared to the outdoor air). Mold assessment should also be considered if a person living in or moving into the house has a high risk from mold. People with asthma, allergies or other breathing conditions may be more sensitive to mold. People with immune suppression (such as people with HIV infection, cancer patients taking chemotherapy and people who have received an organ transplant) are more susceptible to mold infections. where the mold is suspected. A swab or lift sample of the suspected mold will also be taken. Additional samples will be taken upon request (an additional fee per sample will be charged) if more than one suspected area of mold is noted. The client or client’s representative must be present to point out the suspected mold. The conditions contributing to the mold growth in the suspect area will also be evaluated. This service does not include evaluation or testing of other areas of the house and recommendations for remediation. 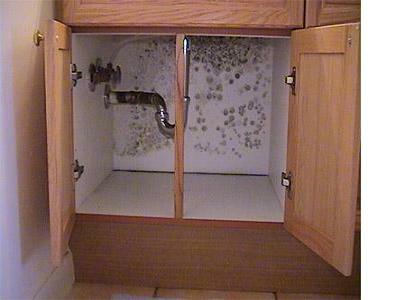 A second type of service is mold screening. This service provides an assessment of the entire house, identification of any ‘red flag’ areas and limited sampling. The service includes lab analysis of the samples taken and a report on conditions noted which contribute to microbial growth. If the mold assessor determines that additional samples are needed (above 4), the client will be given the opportunity to accept or decline the additional sampling (an additional fee per sample will be charged). This service does not include recommendations for remediation and testing of all areas identified as a concern. 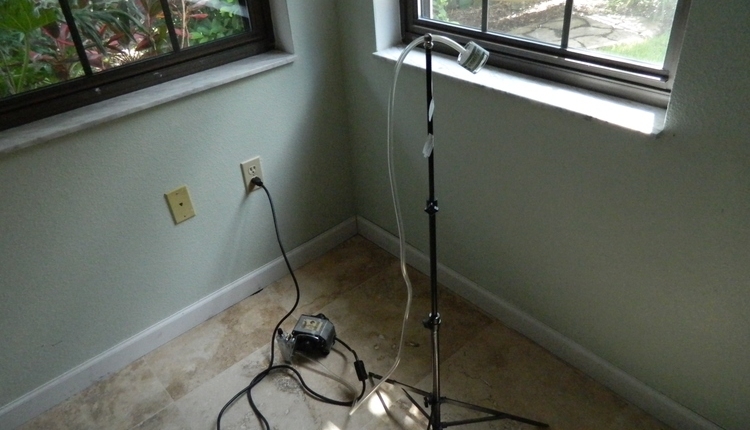 Clearance testing is also recommended for after mold remediation has been performed. This service includes an inspection within the containment area for signs of visible mold and typically requires up to four mold samples per containment area, three air samples and one swab or lift sample as needed. An air sample is taken in the containment area where the mold remediation was done; another air sample is taken immediately outside of the containment area and a third air sample is taken outside of the house as a control. Depending on the amount and location of the mold, several steps may be necessary to remediate mold. Getting ready – Be sure to protect yourself from exposure to mold when cleaning. Exposure to mold is typically much higher when cleaning or removing mold damaged materials. You should wear a respirator or dust mask, rated a minimum of N95, protective clothing, rubber gloves and eye protection or goggles. Seal off area where the mold is located from the rest of the house to avoid spreading mold spores. Ask bystanders to leave the area when it is being cleaned. Air your house out well during and after the work. Try cleaning a small test patch of mold first. If you feel any adverse health effects, consider hiring a professional contractor to complete the work. CAUTION: Mold spores are easily released when moldy material is dried out. Exposing hidden or concealed mold during clean-up can release a large amount of mold spores to the surrounding area. Identify and correct the moisture source – It is critical to find and correct the source of the moisture, otherwise the mold will re-grow soon after your clean up is done. 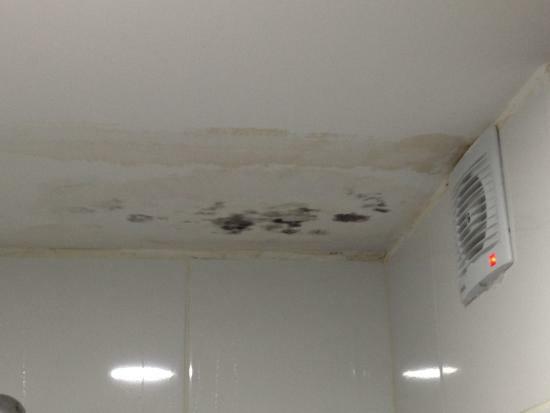 Common sources of moisture are: roof leaks, clogged gutters, plumbing leaks, leaks around tile in showers and tub enclosures, wet basements and crawl spaces, condensation on windows, excess humidity from improperly vented clothes dryers, cooking, showers, humidifiers, etc. Removal of any moldy porous materials. Porous materials, such as, drywall, ceiling tiles, paper, cardboard boxes and carpets that are moldy should be removed. The contaminated areas should be cleaned to remove as much of the mold and any potential food source as possible. A non-ammonia soap, detergent or commercial cleaner in hot water is recommended. The entire area affected by the mold should be scrubbed with a stiff brush or cleaning pad. Rinse the area with clean water. A wet/dry vacuum is useful for removing excess water which remains. There is controversy regarding the need to disinfect and whether potential risk in disinfecting outweighs the reward. Disinfecting will kill mold but not necessarily the spores. Even dead mold may still cause allergic reactions in some people. This is why cleaning to remove as much mold and mold spores as possible is so important. Any remaining mold spores may begin to grow mold colonies if the right conditions exist (i.e. the area become wet or damp). Biocides are used for disinfecting. There are many biocides or disinfectants commercially available. A common biocide is bleach. Bleach should not be used directly from the bottle. A 10% bleach solution is recommended (e.g. 1 ½ cups of bleach per gallon of water). Spray affected area – be sure entire surface is wetted. Avoid excessive amounts of runoff or standing bleach solution. Let disinfecting areas dry naturally overnight to give the biocide time to kill the mold. CAUTION: Bleach fumes can irritate the eyes, nose and throat, and damage clothing and shoes. Never mix bleach with ammonia or any product containing ammonia. Bleach combined with ammonia will create toxic fumes. WARNING: This document is intended to give the reader some general information regarding mold and mold clean up. The information is not complete or technically exhaustive. Cleaning mold can expose occupants to higher levels of mold and potentially negative health effects. The references listed at the end of this document and/or a qualified mold specialist should be consulted prior to beginning any mold remediation. The following list of resources includes information created and maintained by other public and private organizations. Sterling Home Inspections does not control or guarantee the accuracy, relevance, timeliness or completeness of this outside information. Further, the inclusion of such resources is not intended to endorse any views expressed or products or services offered by the author of the reference or the organization operating the service on which the reference is maintained. US Environmental Protection Agency: “Mold Remediation in Schools and Commercial Buildings”: Investigating, Evaluating, and Remediating Moisture and Mold Problems: This document presents guidelines for the remediation / cleanup of mold and moisture problems in schools and commercial building. This document is referenced by several sources as useful information for residential clean-up. Using this document, individuals with little or no experience with mold remediation should be able to make a reasonable judgment regarding dealing with mold. US Environmental Protection Agency: “A Brief Guide to Mold, Moisture, and Your Home” This guide provides information and guidance for homeowners and renters on how to clean up residential mold problems and how to prevent mold growth. 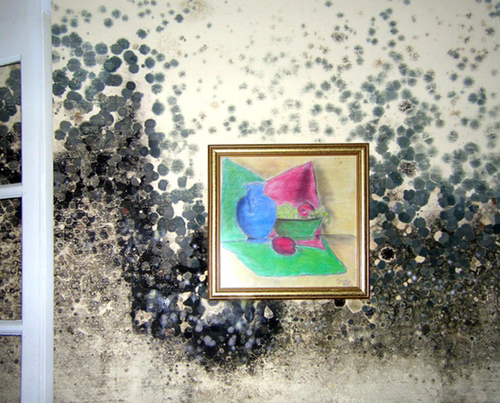 The guide highlights three important truths regarding mold – 1) The key to mold control is moisture control, 2) If mold is a problem in your home, you should clean up the mold promptly and fix the water problem, 3) It is important to dry water-damaged areas and items within 24-48 hours to prevent mold growth. CDC Centers for Disease Control and Prevention: Protect Yourself from Mold: This document is a brief bulletin on how to protect yourself from mold after a natural disaster, such as, hurricanes, tornadoes and floods. Highlights people at greatest risk from mold, possible heath effects, recognizing mold, and preventing mold growth. California Department of Health Services: Indoor Air Quality Info Sheet: Mold in My Home: What Do I Do? This document provides basic information for people who have experienced water damage to their home. It describes health concerns related to mold exposure and provides general guidelines on prevention, mold detection and cleanup of mold-contaminated materials. APA The Engineered Wood Association: FreeFromMold.org – Ten-point protection plan: This website provides a simple annual inspection and moisture prevention regimen for homeowners. Also offers simple steps to fix common moisture intrusion problems. Routine maintenance can play an important role in preventing moisture damage and mold found in houses today. Presented in an easy to read and understand format. New York City, Department of Health: Guidelines on Assessment and Remediation of Fungi in Indoor Environments: First developed in 1993, this document is one of the first authoritative documents of its kind regarding indoor mold assessment and remediation. It is often referenced by other research and documents and is used as a guide for mold assessment and remediation. This guide is intended for use by building engineers and management, but is available for general distribution to anyone concerned about fungal contamination, such as environmental consultants, health professionals, or the general public. CDC Centers for Disease Control and Prevention: Mold – Environmental Hazards and Health Effects: A web-site with links to fact sheets from CDC and EPA on mold cleanup, removal and remediation. US Environmental Protection Agency: “Should You Have the Air Ducts in Your Home Cleaned?” This document is designed to help a homeowner decide if he/she should have their air ducts cleaned. Also provides link to the National Air Duct Cleaners Association and useful checklist.